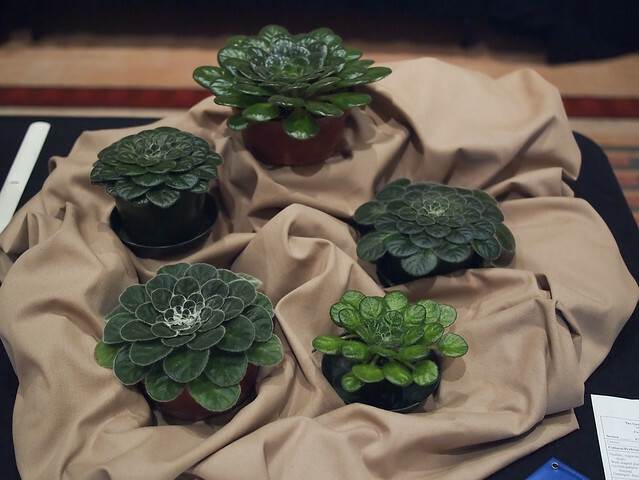 Clockwise from the top: P. minor, P. 'Paul Kroll' (forrestii x minor), P. (rosettifolia x minor), P. 'Keystone's Blue Jay' (sericea x minor), and P. 'Keystone's Slippery Rock' (forrestii x minor). 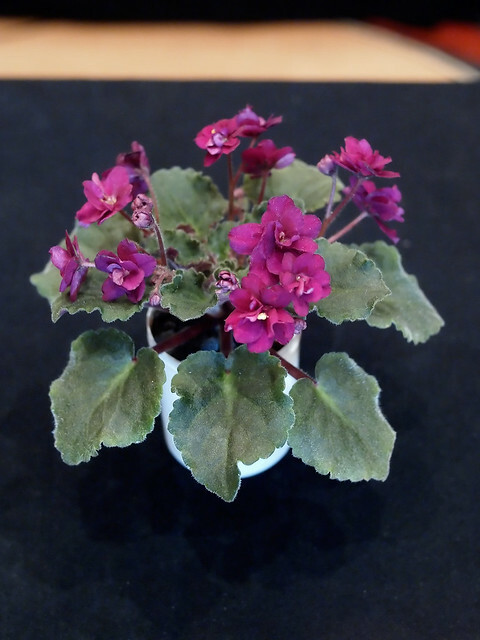 You can read more about this entry on Tim Tuttle's blog, A Passion for Petrocosmea. 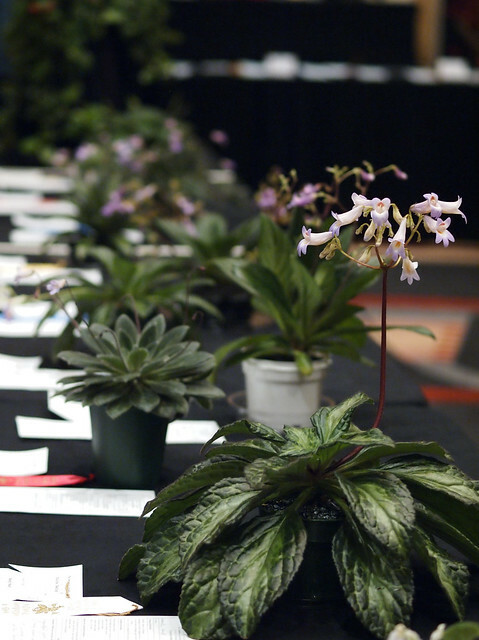 Presentation materials from David Zaitlin's lecture at the Convention. 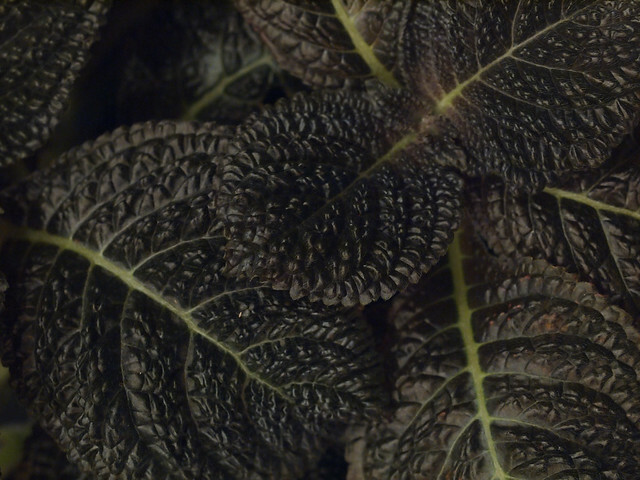 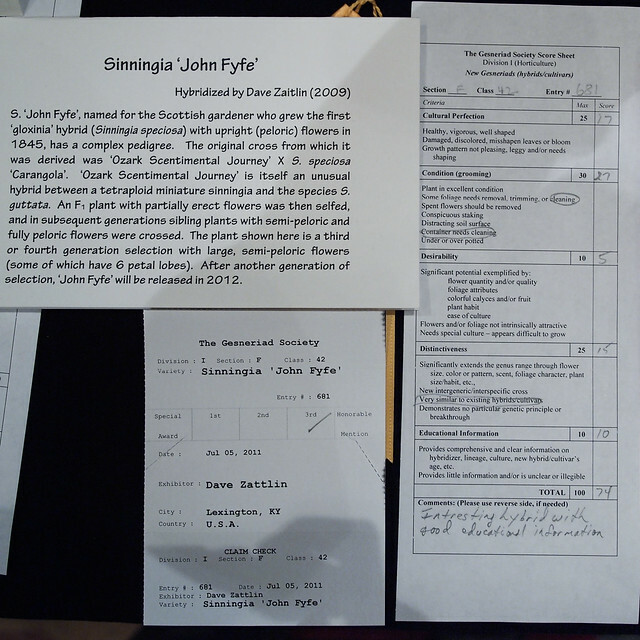 David Zaitlin also exhibited a plant of Sinningia 'John Fyfe', named after the grower of the first known example of upward-facing peloric flowers. 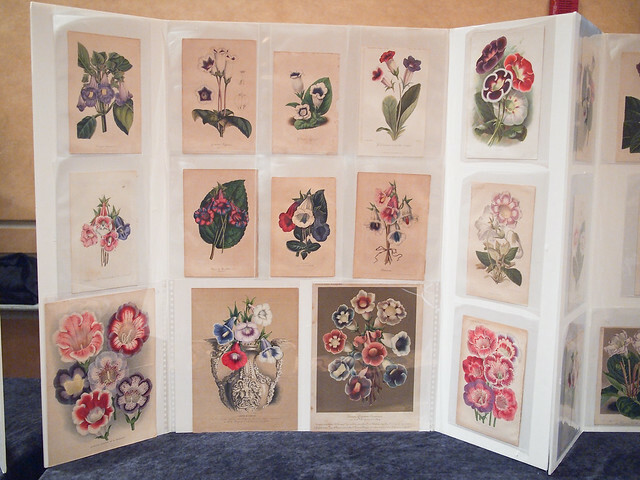 You can see a print of John Fyfe's plant above, in the center top row. 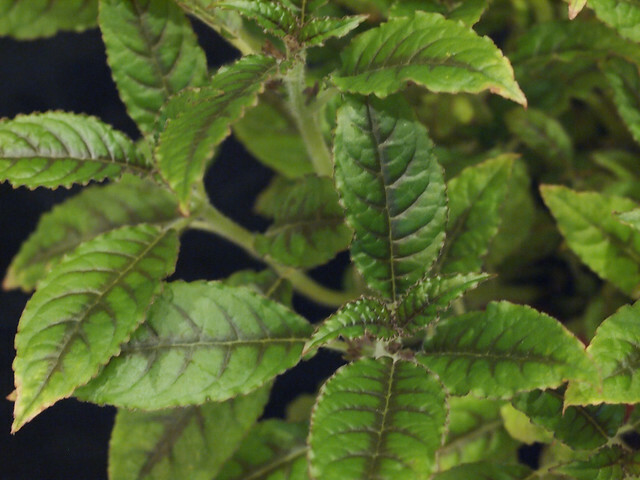 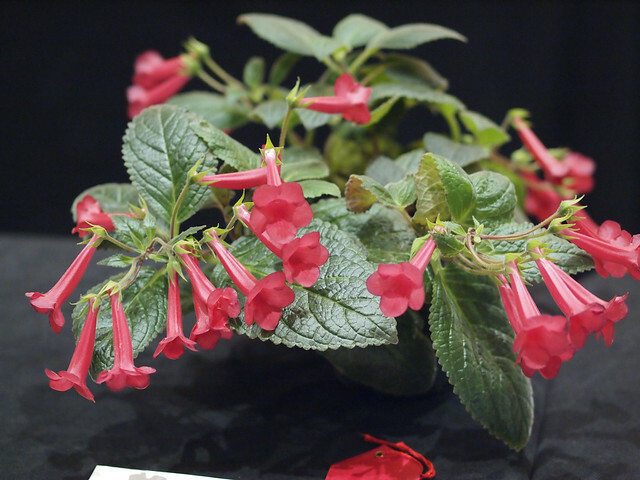 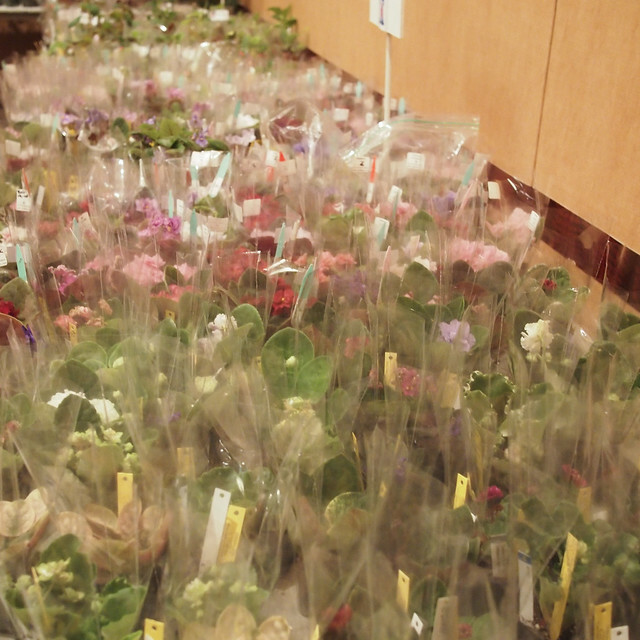 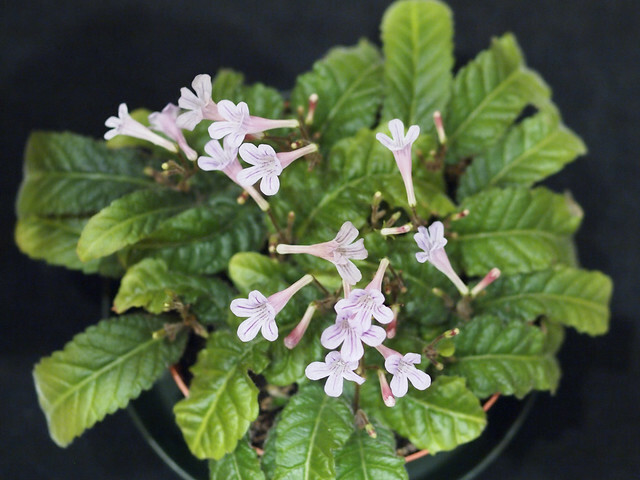 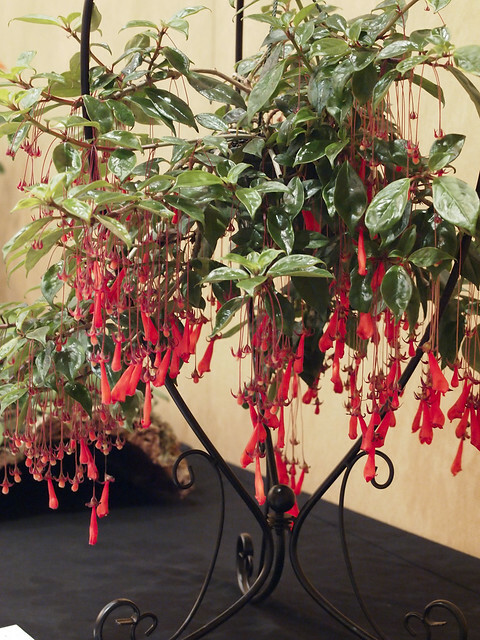 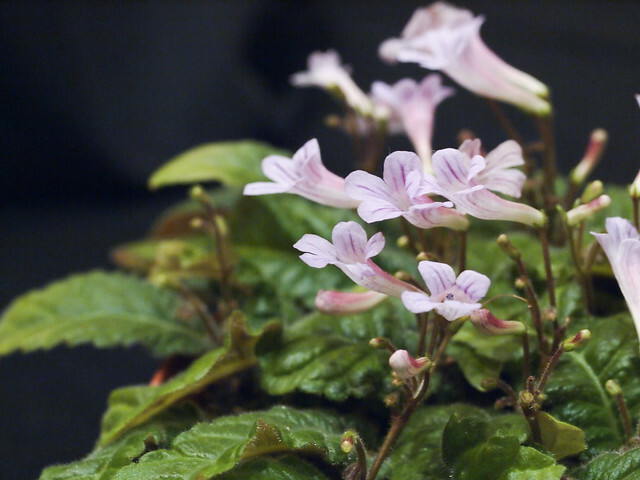 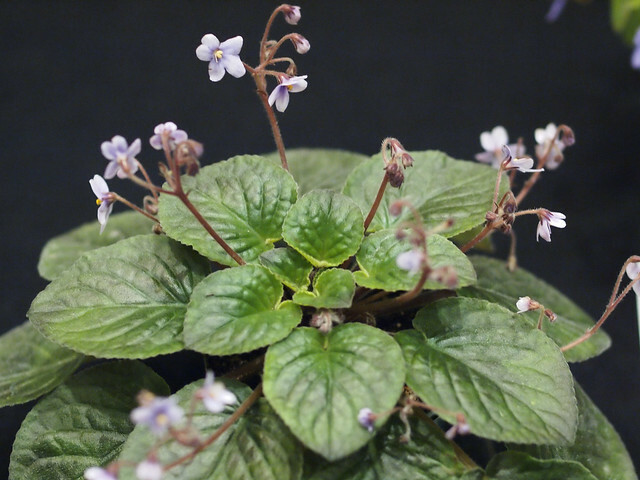 For more reading, the article in the Gesneriads journal is highly recommended. 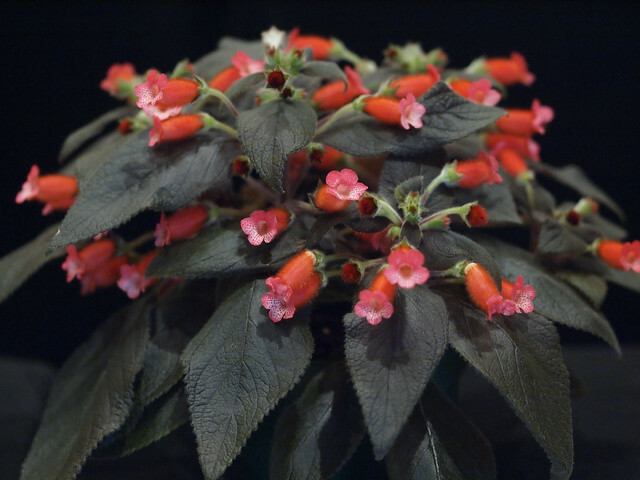 A beautiful example of a lovely hybrid, Kohleria 'Peridots Kitlope', exhibited by Eileen McGrath at the 2011 Convention of The Gesneriad Society. 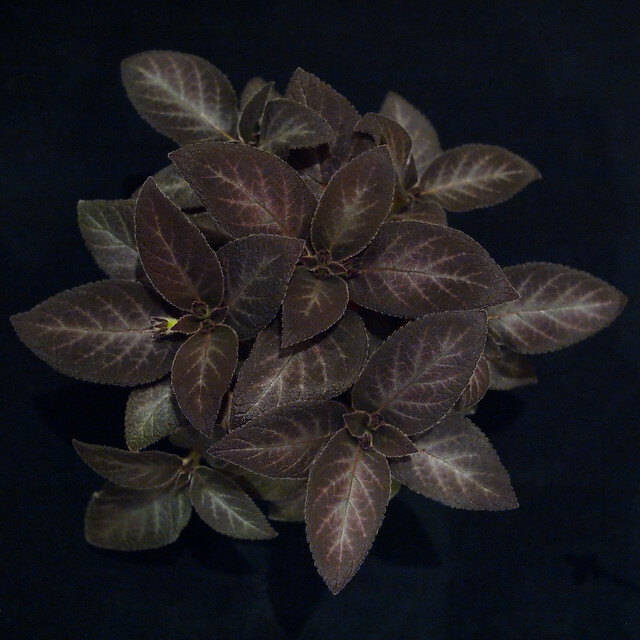 Score: 98 points. 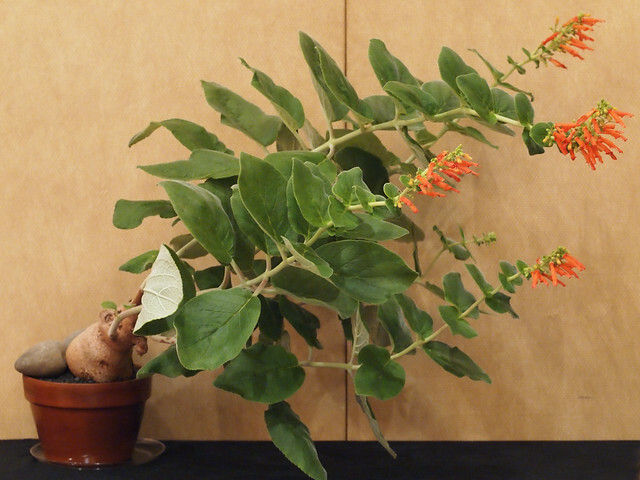 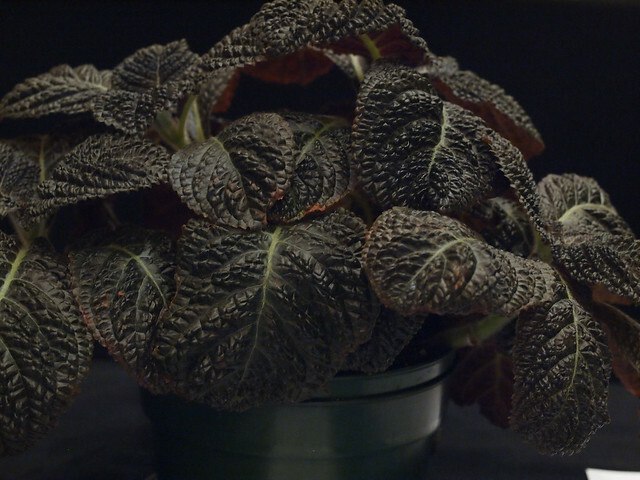 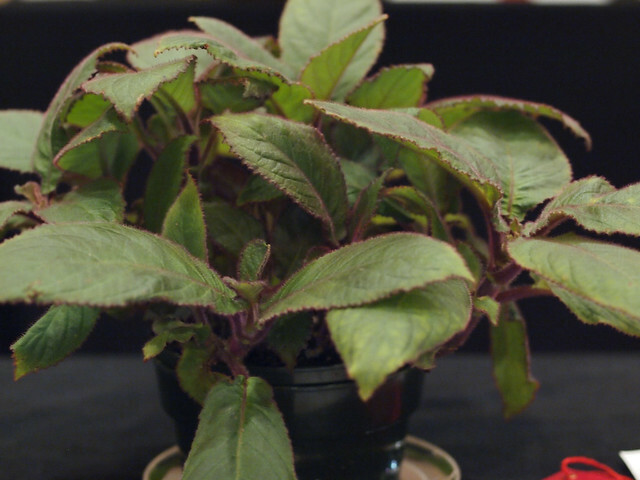 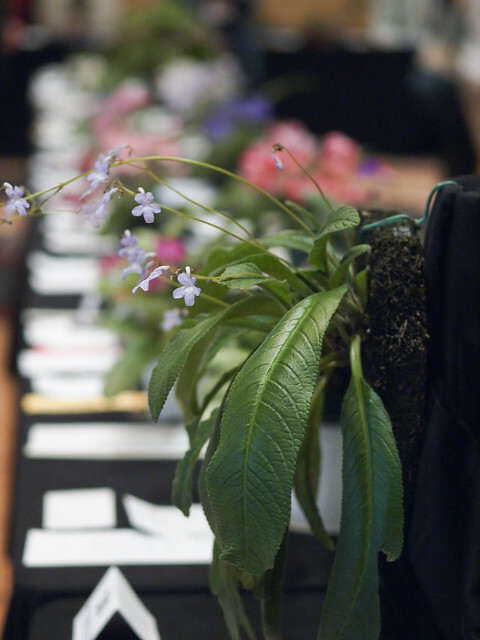 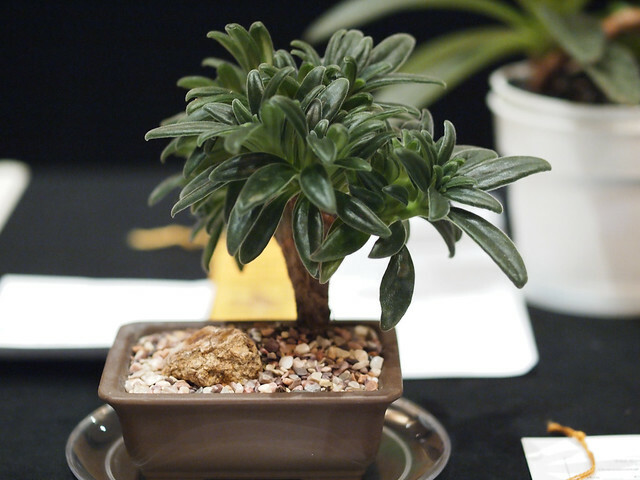 A personal favorite from the show: Chirita longgangensis (crested form), exhibited by Ben Paternoster at the 2011 Convention of The Gesneriad Society. 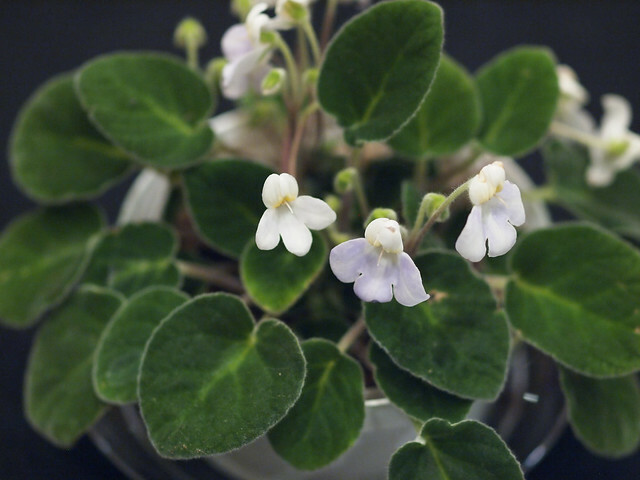 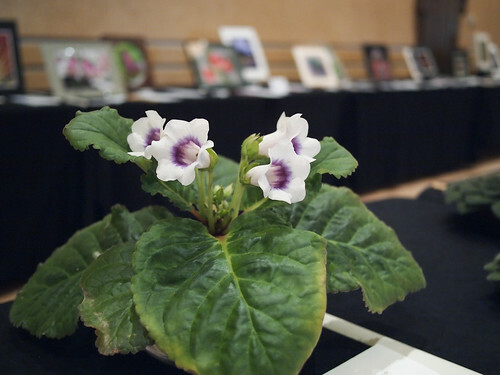 And one of my favorite Petrocosmea species, Petrocosmea formosa, exhibited by Barbara Stewart. 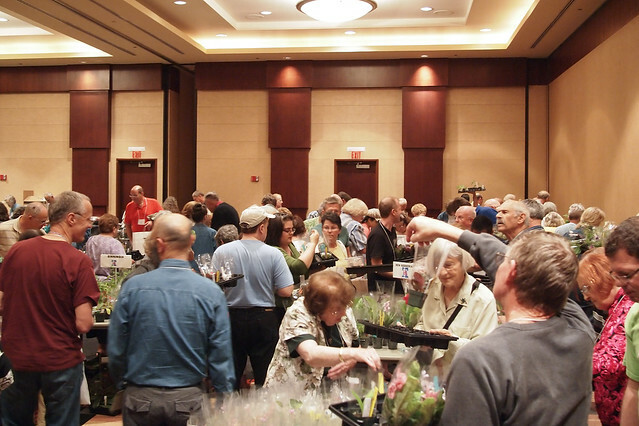 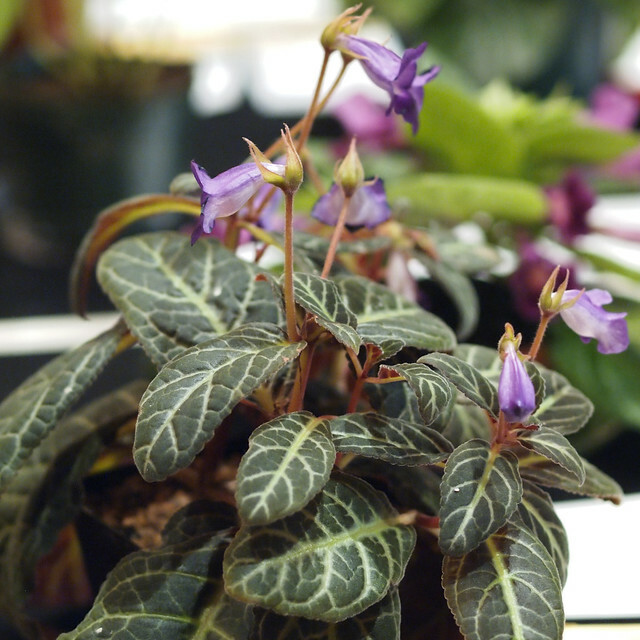 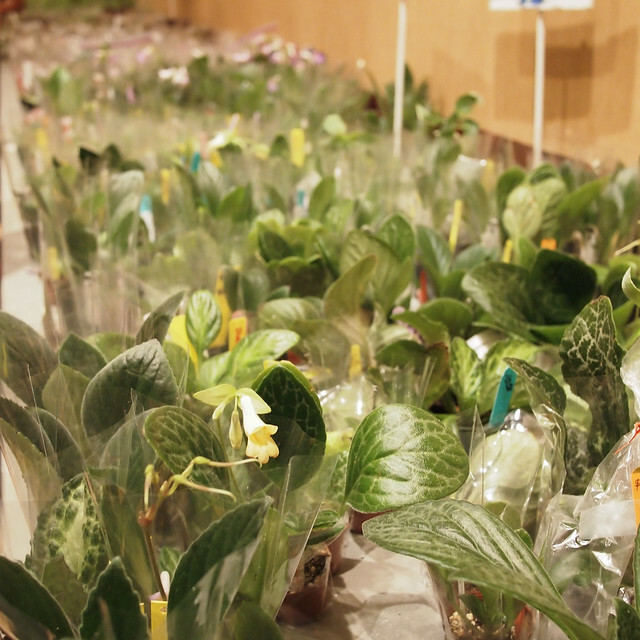 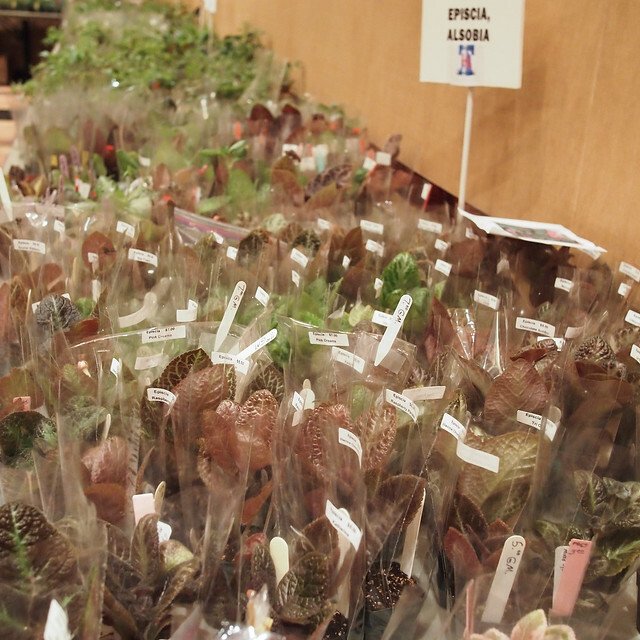 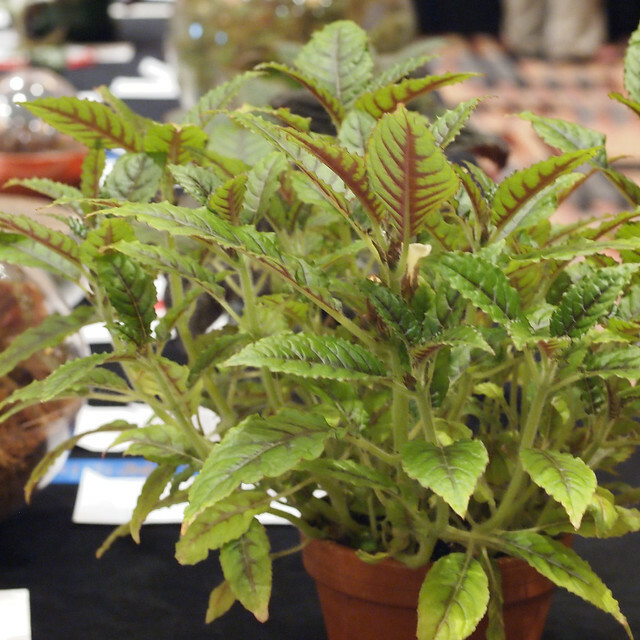 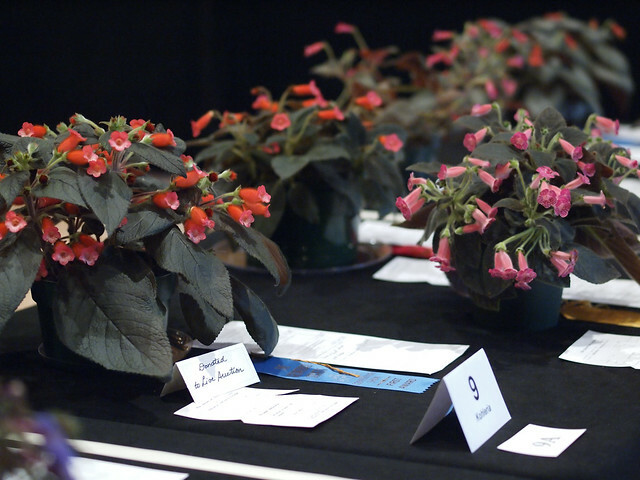 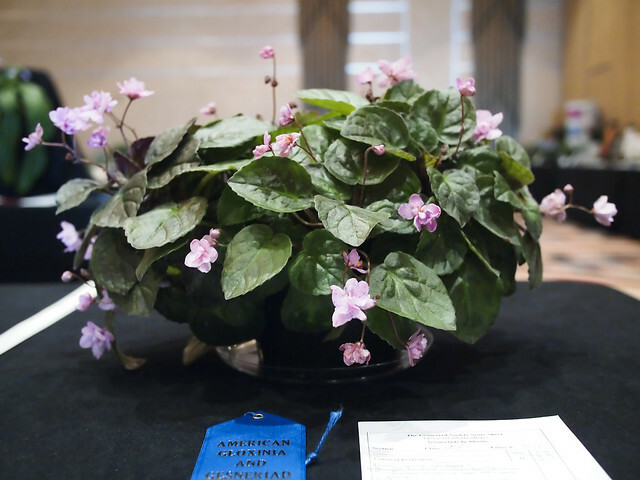 Exhibited by Tim Tuttle at the 2011 Convention of The Gesneriad Society. 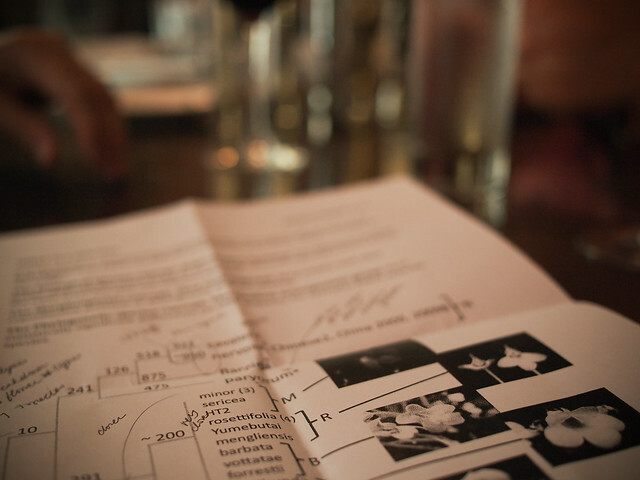 Score: 95 points. 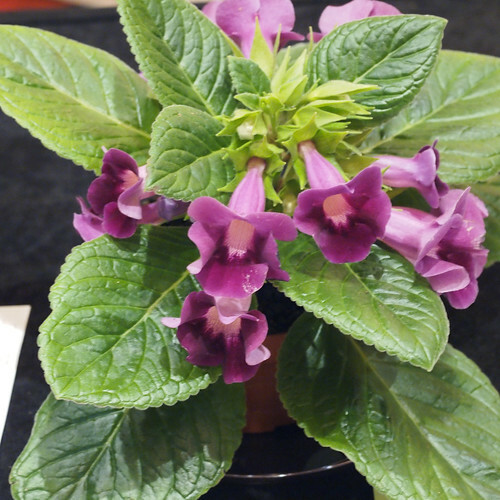 This is one of the smaller Streptocarpus species and much loved by many, but reportedly tough to grow. 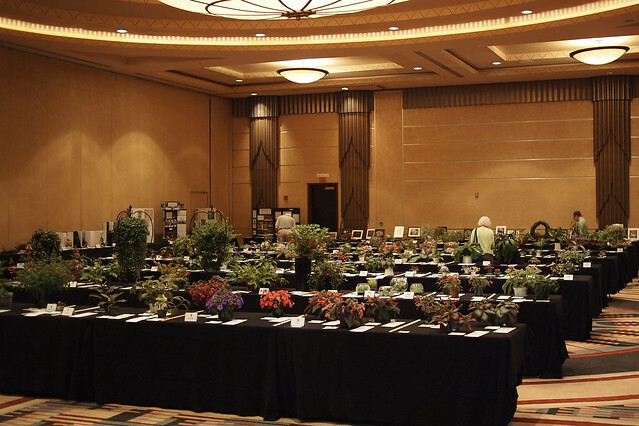 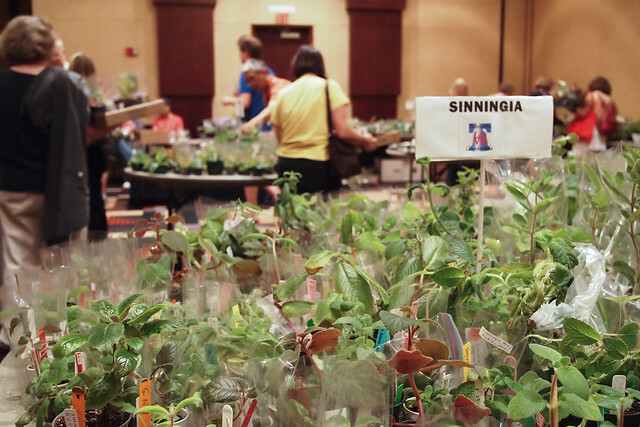 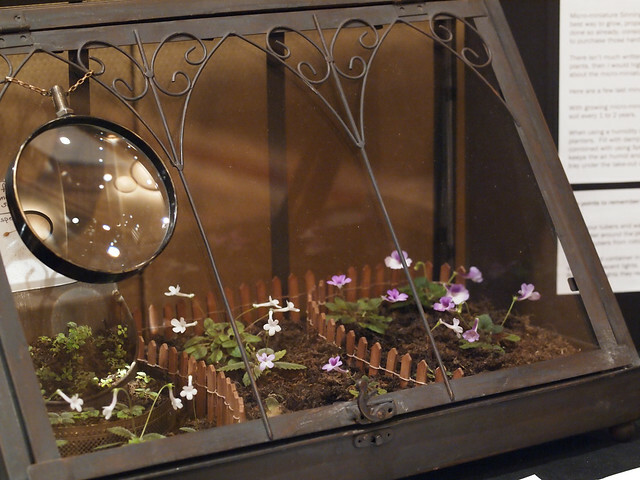 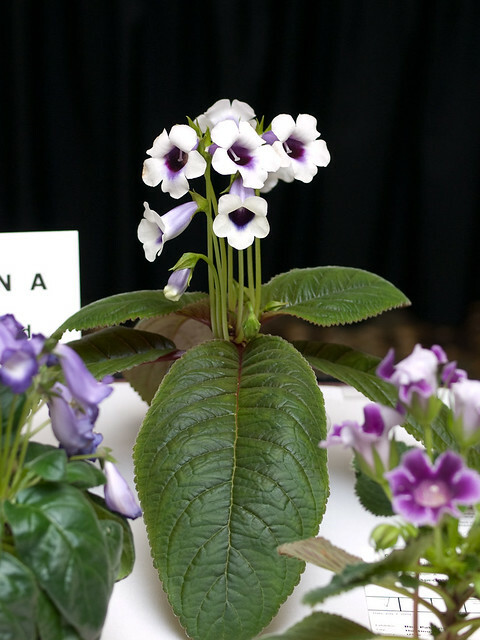 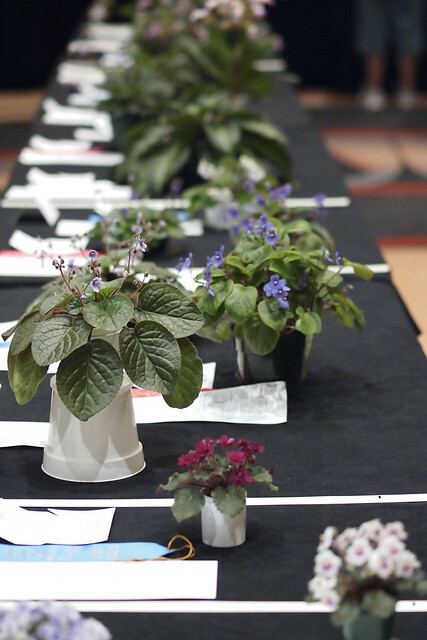 The plant material portion of an educational exhibit by Irene Sobotincic at the 2011 Convention of The Gesneriad Society, containing Sinningia muscicola, 'White Sprite', pusilla, concinna, 'Star Eyes', 'Bright Eyes', 'Little Wood Nymph' and 'Little Tiger'. 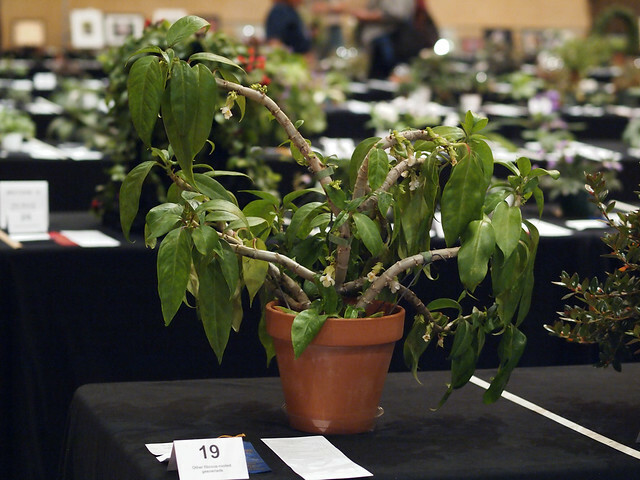 Score: 96 points.